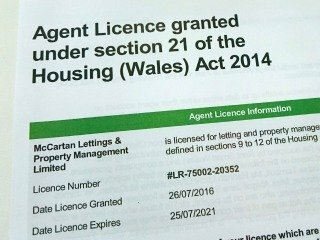 We were one of the first in estate agents in Swansea to be fully licensed with Rent Smart Wales. As such, we are regulated by the National Approved Letting Scheme and the Ombudsman for Letting Agents. We are members of the Deposit Protection Service, a registered Safe Agent and hold Client Money Protection Insurance. Every year we invest in on-going staff training, professional development and gaining qualifications. We give the best advice available to keep protecting landlords investments. We concentrate solely on the professional rental market. This helps us to offer a straight forward, high quality service to our landlords. We have an excellent knowledge of our available properties, enabling us to easily to match tenants to them.